Investigations on control and optimization of continuum manipulators have resulted in a number of kinematic and dynamic modeling approaches each having their own advantages and limitations in various applications. In this paper, a comparative study of five main methods in the literature for kinematic, static and dynamic modeling of continuum manipulators is presented in a unified mathematical framework. 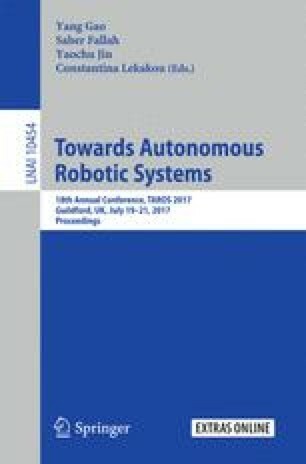 The five widely used methods of Lumped system dynamic model, Constant curvature, two-step modified constant curvature, variable curvature Cosserat rod and beam theory approach, and series solution identification are re-viewed here with derivation details in order to clarify their methodological differences. A comparison between computer simulations and experimental results using a STIFF-FLOP continuum manipulator is presented to study the advantages of each modeling method. This work is supported in part by the U.K. Engineering and Physical Sciences Research Council (EPSRC) under MOTION Grant: EP/N03211X/2, and European Union H2020 project FourByThree code 637095.